Over the past 30 years, families have increasingly made the decision to switch from burials to cremation. In fact, in 2016 over 50% of Americans chose cremation as their preferred choice for their final arrangements. As cremation rates have continued to grow, so has number of individuals who realize the benefits of preplanning their cremation. Through it all Neptune Society has been there, supporting families in their time of need. Since 1973, we’ve served over 500,000 families across the country with dignity and respect. Thanks to the loyal support of generations of families, we’re now the largest provider of affordable cremation services in the nation with over 45 locations nationwide. Peace of Mind Cremation planning grants your family time to grieve your loss and celebrate your life rather than face confusing choices about your final wishes. No Unnecessary Financial Burden Don’t leave your partner, family, or loved ones with the financial burden of paying for a service in this already difficult time. Financial Protection The costs of cremations and funeral services continue to climb every year. With a prepaid plan you can lock in today’s price for services in the future. How does a preplanned cremation work? What choices do I have in a preplanned cremation? How much does a preplanned cremation cost? Affordable cremation plan choices Neptune Society offers exceptional value, quality, and expert guidance during the cremation preplanning stages. Cremation services for immediate needs We’re here for your family 24 hours a day, 7 days a week – whenever you need us. One call Just one call assures you compassionate, highly responsive service, and professional management of cremation, and cremation planning. Cremation has already become the preferred choice over burial in the US. If you think cremation is the right choice for you too, we look forward to serving your needs with all the professionalism and care you deserve. 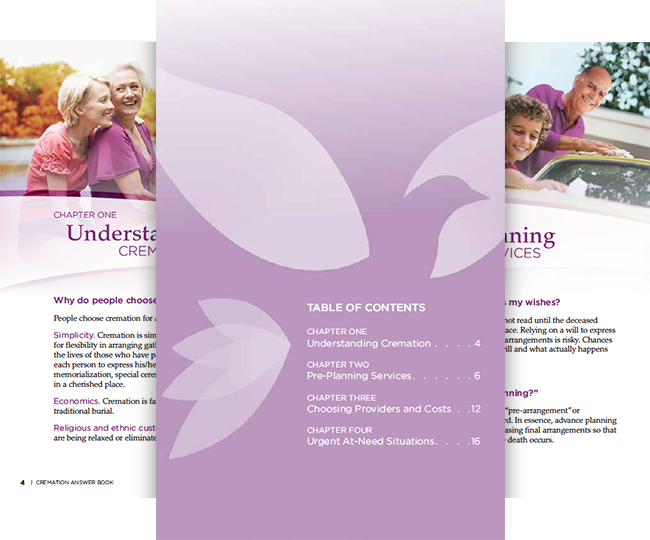 In this digital guide, you’ll learn things like why choose cremation over burial, the financial & personal benefits of cremation preplanning, and how to choose a reputable cremation provider.